Do you feel overwhelmed by what you need to do each day by the time you walk in the office door? Take a stand against that feeling by getting organized step by step. Workplace organization helps you reach your productivity goals, reduce stress levels and avoid missed deadlines. Get your work under control with these four tricks for a streamlined office experience. Your commute is the perfect time for arranging your day in advance before you’re in the midst of everything. If you carpool or use public transport, you can get hands on with writing out a complete to-do list and organizing your time into blocks for the rest of the day. Even when you’re busy focusing on the road during your commute, you can think about your top three priorities and do some simple focus building motivations while you’re on the way. Multitasking may sound like an efficient use of your time, but it’s actually interfering with your ability to get anything done. In psychological testing, almost every subject performed better on tests when focusing on a single task instead of doing multiple activities. Trim down the number of tabs you have open on your browser, turn off your email and phone notifications, and set timers to make sure you’re working toward a single goal at a time. If your current workflow is built entirely around multitasking, talk to your manager or boss about redesigning your deadlines and equipment to give you a more singular goal flow. Don’t assume that signing up for dozens of different productivity apps and work management websites will automatically make you more organized and productive at work. Each new app, website and program you use can serve as a distraction from actually getting the work done. Balance out your use of technology with blocks of dedicated time for focusing on real work. Remember, checking your emails, scheduling meetings and updating your to-do list don’t get you any closer to achieving measurable goals. Try turning everything off except the software you’re using for a project so that notifications, text messages and other distractions don’t interrupt your work. If you’re careful, you can even use technology to help reduce the number of distractions and interruptions you face in a day. By communicating with team members over a chat platform or email only, you can reduce the number of times your co-workers have to swing by to have a quick chat. Other workers may find that going offline only with conversations, therefore saving questions for daily meetings or breaks, can keep their focus on the task at hand. Experiment with different ways of blocking interruptions, such as working from home and switching to private workspaces. 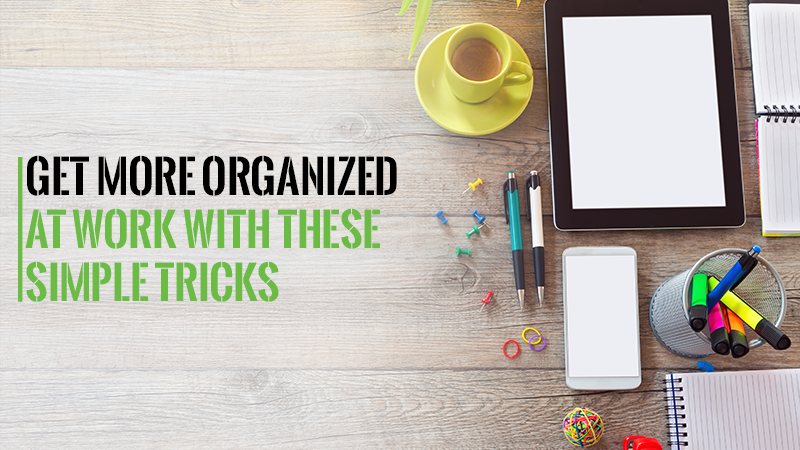 Need help organizing your workspace as you make a move? Expert Relocation Systems is standing by and ready to help! This entry was posted in General and tagged commute, focus, office, organization, organized. Bookmark the permalink.